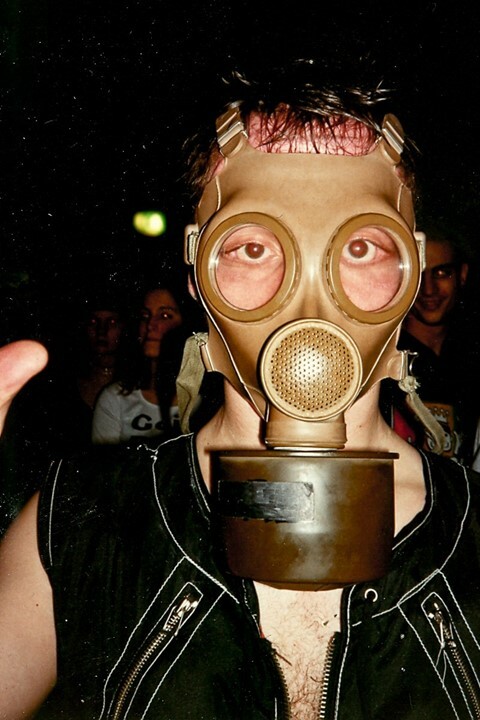 It’s no secret that 90s Europe was the spiritual homeland of techno. For those of us not privy to an all-access pass, have you ever wondered what the inside of clubs like E-Werk and Tresor looked like back then? 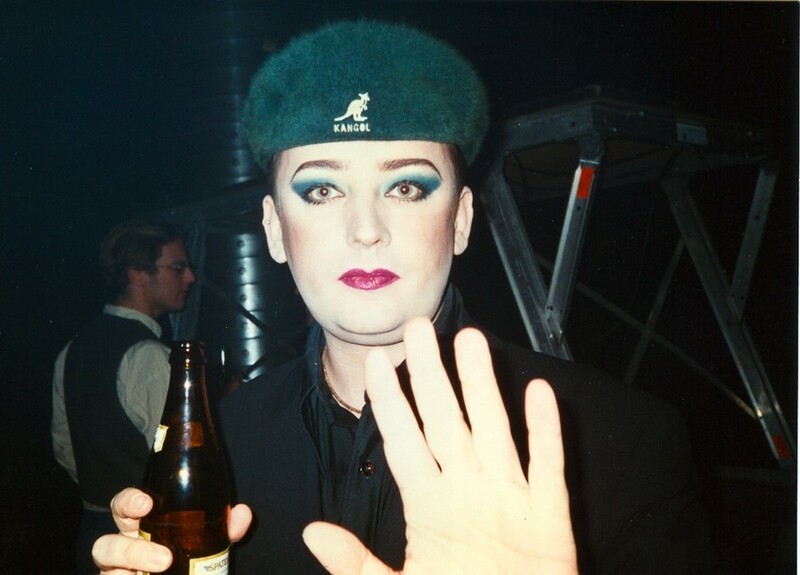 How Boy George liked to party? Or what Jeff Mills got up to outside the DJ booth? Well, techno purists rejoice! We’ve got something amazing for you. The man whose work will give you an unprecedented look at those heady days of hard-hitting beats and endless parties is German photographer, Tilman Brembs. Brembs was there at the birth of Europe’s techno scene and he stayed through the thick of it in the 90s, partying with the best in Berlin, Tokyo, and Paris. Working for techno magazine Frontpage from 1991, Brembs and his camera were given unprecedented access to the secret world of techno clubs and the people that frequented them. His pictures range from celebrities caught off guard through to DJs partying in the crowd and stills of club kids crashed out in the squalor that signals the end of a big night. After years of keeping them archived, Brembs shares the photos online as part of his “Zeitmaschine” project. We caught up with him to talk techno, because, what else? Why did you choose to release these pictures now and not before? Tilman Brembs: Well, I had to distance myself from that time. It’s only now that I really realise what an important era it was that we experienced. The pictures are like good wine – they get better with age. How does it feel to look back on them? Tilman Brembs: I love looking back at them. It reminds me of the good times I witnessed. The photos are time documents and the viewer only becomes aware of many things in retrospect. For example, back then we didn’t have the best fashion taste but that wasn’t really noticed in the dark clubs. But it meant we had a lot of really cool locations that were only accessible through mountains of rubble. A lot was illegal. And therefore twice as much fun! Tilman Brembs: The images represent an era – just like Woodstock stands for a certain period of time. Although we weren’t hippies, we definitely felt like we owned the world. We did things differently and there was no tomorrow. The images are full of energy and show how people celebrated then. A time without digital networking, without mobile phones. Instead, it was recorded with analogue photography. It was a time when films only had 36 shots and the development could take a week. We heard, danced and lived techno – even though we were totally analogue kids. Why do you feel people are so interested in them now? Tilman Brembs: That was our youth and we were young when we experienced that time. Everyone is interested in their own history and the images are sometimes a type of evidence to prove you really witnessed those things. Also, at that time there was no ‘selfie-generation’, people constantly taking pictures of themselves. Many people write to me and tell me they’re happy to see these pictures because they activate their memories. The “Zeitmaschine” photos are a kind of promoter. They reactivate the past, sometimes I can even describe the smell of that past when I look at an image. As a chronicler of the period, I’m proud of having been at the right place, at the right time and to have had the camera in my hand. How did it actually feel at the time to be a part of this movement? Tilman Brembs: It was great to be in the midst of it, rather than just present. 1991 was when I first started working in Tresor – it was the ticket to the Berlin club scene. You were not only a consumer or a guest, but you were also a part of the nightlife ‘machine’. We had jobs to do, but we were having fun the whole time. Through my job as a photographer at Frontpage I could take (almost) as many photos as I wanted. Did you realise at the time you were capturing something so important? Tilman Brembs: I have always taken pictures. Shortly before the techno movement developed, I documented the fall of the Berlin Wall. At the time, I was aware that something very important was happening. It wasn’t the same with the techno pictures. It was just fun and full of energy. Celebrating the joy that East and West were coming together and you really could do whatever you wanted. A little bit of anarchy in regulated Germany, you know? How has clubbing and club culture changed in your opinion? Tilman Brembs: I haven’t been active in the club scene for years now, but I've been told by my younger friends that it's actually just as much fun as it used to be. The whole thing with the photos and the social networking has affected they way people party, so perhaps they’re not quite as wild as those times when no pictures were taken which could show up the next day on Facebook. What do you want people to take away from your photos? Tilman Brembs: I’d be pleased if the people who look at my pictures understand that it doesn’t matter whether one is gay or straight, black or white, big or small, wearing designer clothes or second hand. Back then we felt no real differences. We just had fun together. We made so many new discoveries together and used that time to find our limits and let the energy flow. Do you have any anecdotes to share from that time? Something that particularly sticks out in your mind? Tilman Brembs: I have quite a few stories in my mind. Many cannot and will not be told to the public. But there was, for example, the Tresor New Year's party. DJ Tanith was on the decks and I stood on the fog machine. We smoked the cellar out so bad that the fog was crawling through the window at Leipziger Strasse, which is really busy. The firefighters were pretty alarmed… they must have thought that hundreds of people had been burnt to death. When they then stormed the building with gas masks and oxygen cylinders we just thought: ‘they look a bit strange,’ but the room was full of funky techno outfits so we just partied on. Do you have a favourite picture? Tilman Brembs: I have a few favourite pictures, but one of my absolute favourites is the photo of the dancing girl at the Greater Than One performance at E-Werk, in Berlin. That must have been around 1994. Shortly before the image was taken, the girl broke off two tooth crowns. But that didn’t seem to matter to her anyway. This picture, for me, symbolises the state of complete detachment. No matter what others think, the main thing is we’re having fun.